…patriotic pride with these great USA pens on a lanyard. 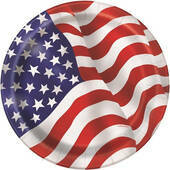 Let us help you be patriotic this year with our great selection of patriotic decorations and accessories. We have all the you need to have a great and festive 4th of July party with plenty of decorations that will make your party look great. 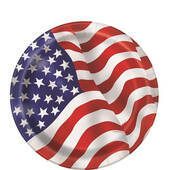 American Flag Paper Plates - 8 5/8"
…The wooden stick is 3/8" thick and 30" long,. 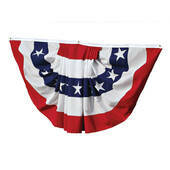 The American flag is stapled onto the dowel, the no fray design is made to not fray in the wind. 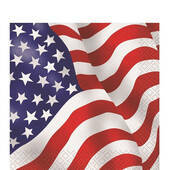 Show your patriotic pride at a parade or any event with these 100% made in the USA American flags. These are the official size and shape for grave flags. …dowel rod and spear tip is made with USA grown wood. The wooden stick is 3/16" thick and 10" long,. 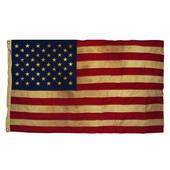 The American flag is stapled onto the dowel, the no fray design is made to not fray in the wind. 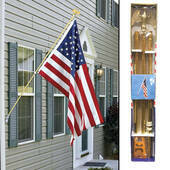 Show your patriotic pride at a parade or any event with these 100% made in the USA American flags. …dowel rod and spear tip is made with USA grown wood. The wooden stick is 5/16" thick and 24" long,. 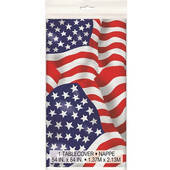 The American flag is stapled onto the dowel, the no fray design is made to not fray in the wind. 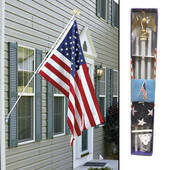 Show your patriotic pride at a parade or any event with these 100% made in the USA American flags. 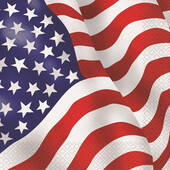 If you are looking for a great polyester USA flag, that is made in the USA you have found it. 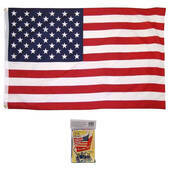 This USA flag is 100% polyester and is made to be displayed on a flag pole with pride. There is a booklet included with this flag that gives detailed information about the flag and it's history.